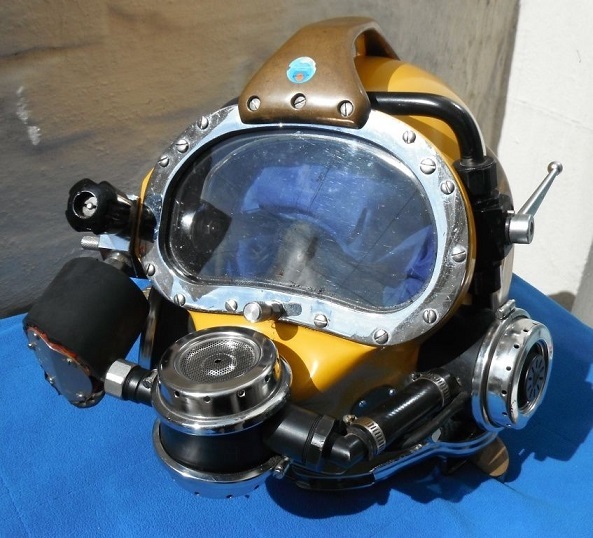 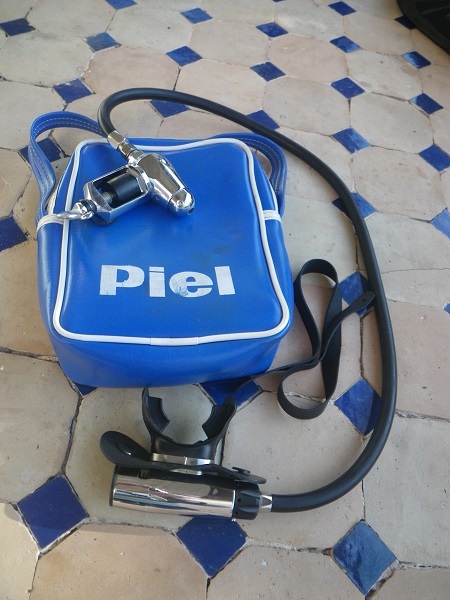 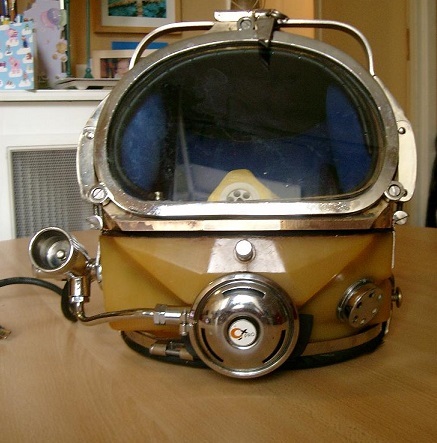 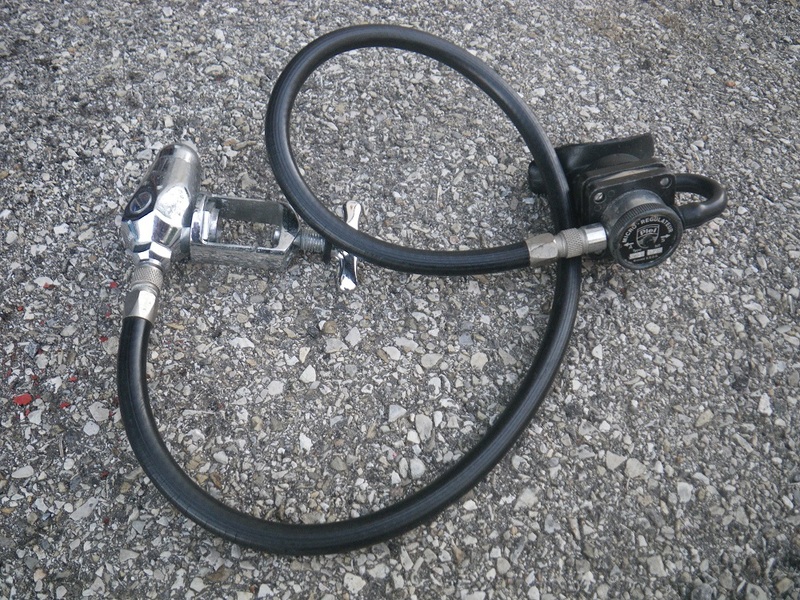 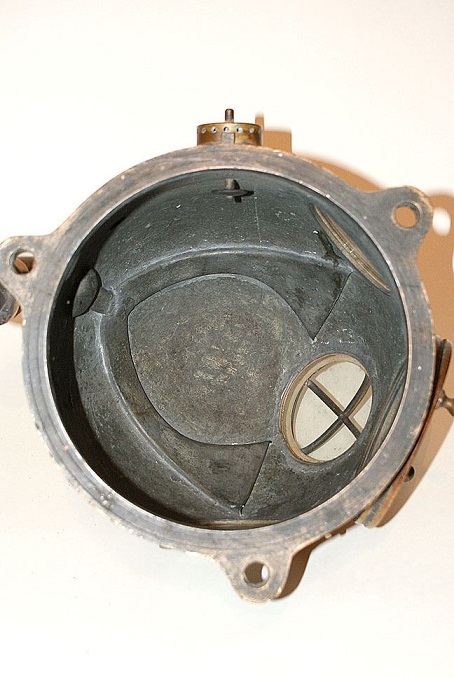 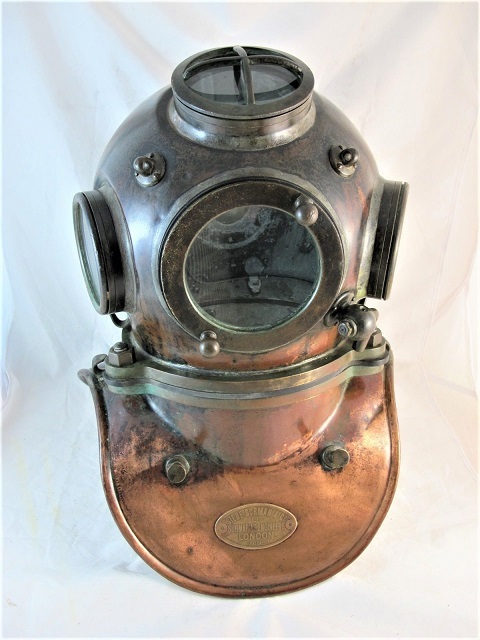 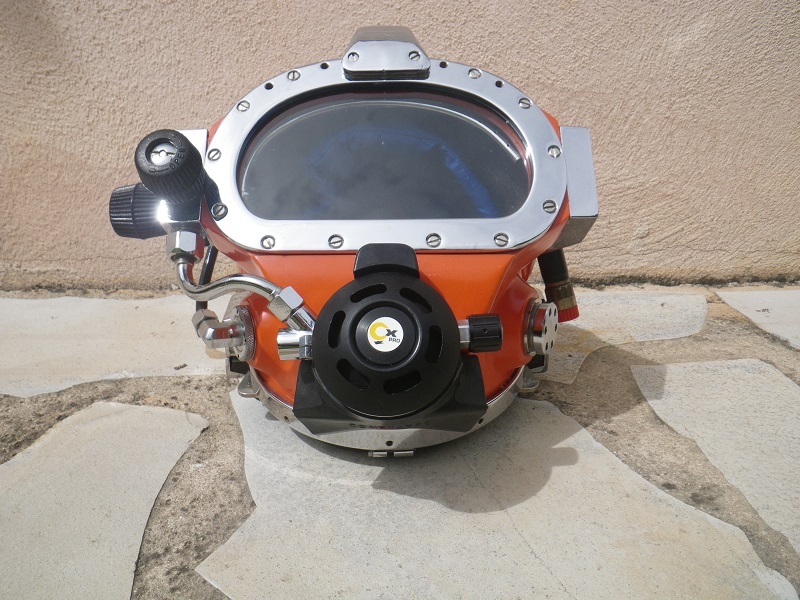 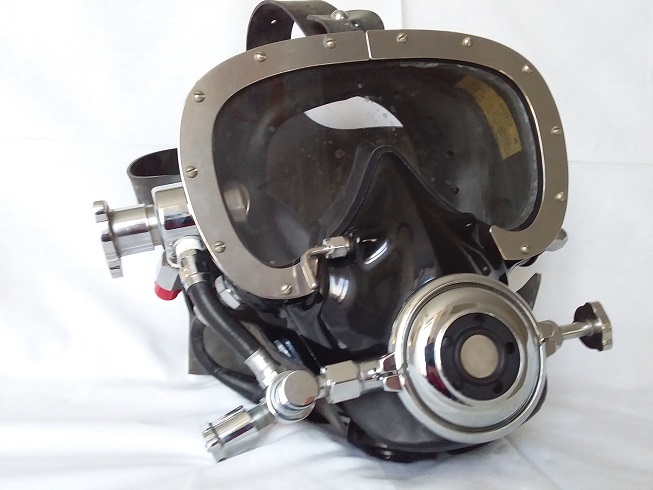 Joseph Scauda, of Neapolitan origin, manufactures scuba equipment in Marseilles since 1898. 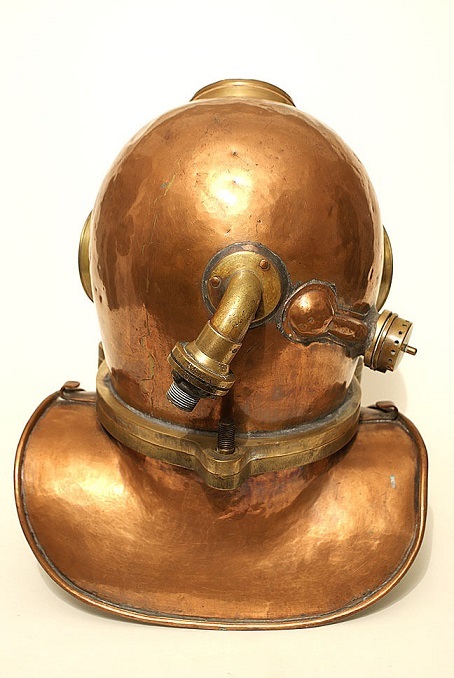 He mainly manufactured 12-bolt helmets with large portholes and without protective grilles, as well as a helmet 3 bolts much rarer. 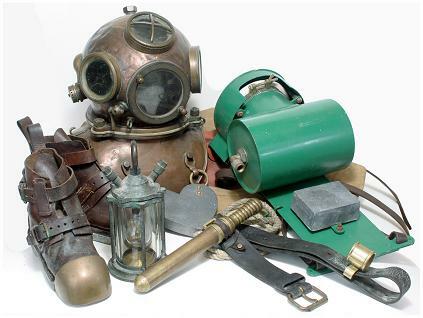 There was a complete catalog with pumps, knives, boots, lamps, etc. 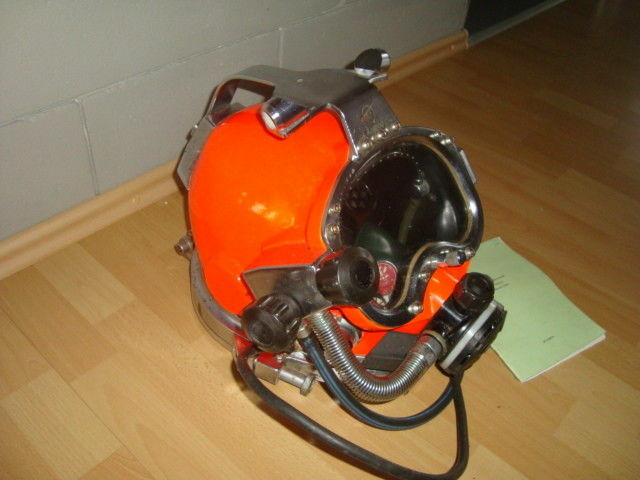 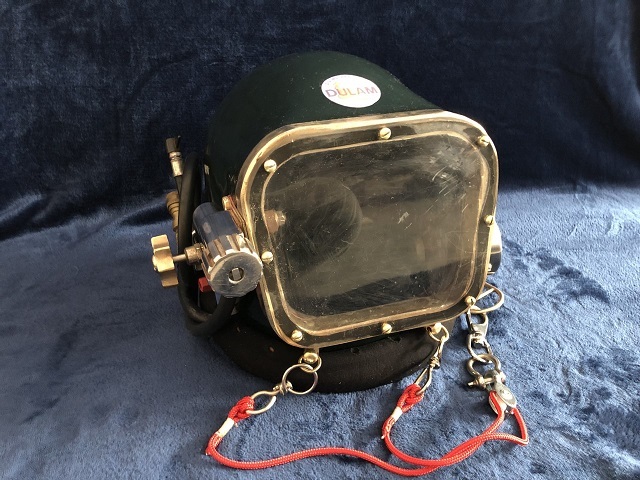 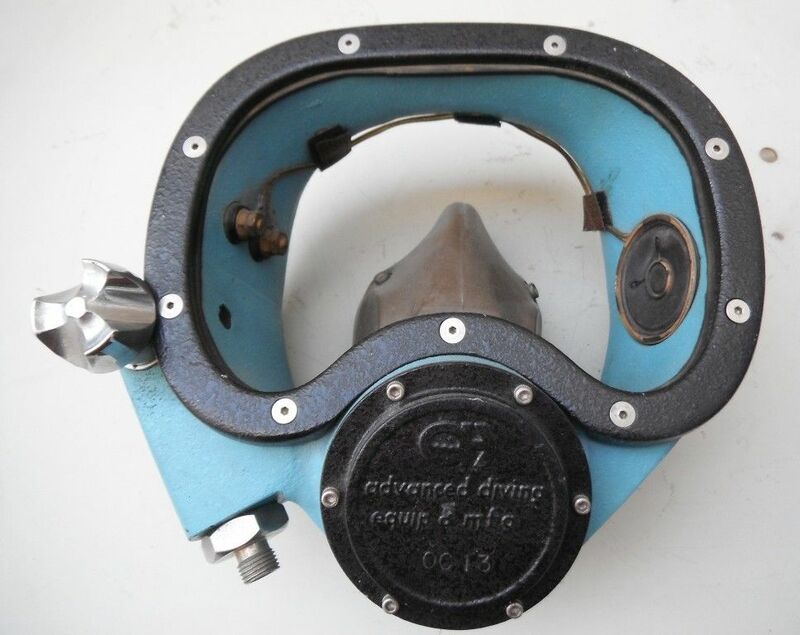 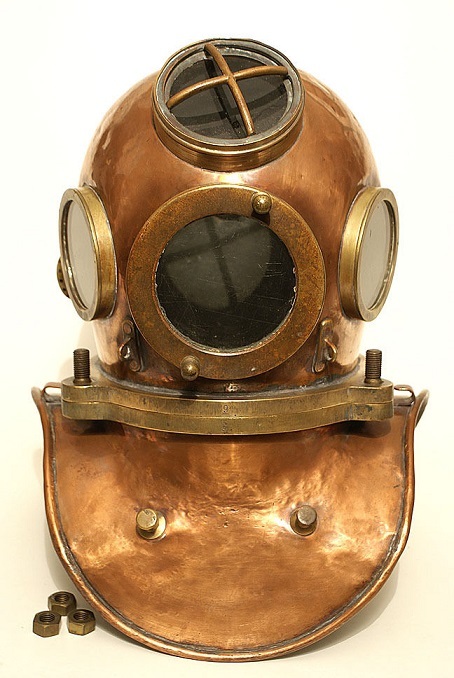 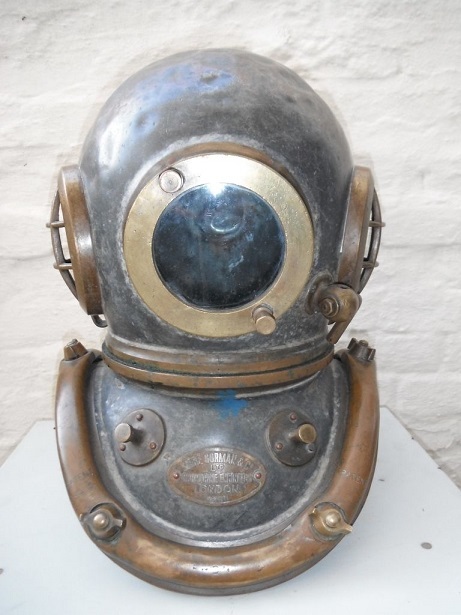 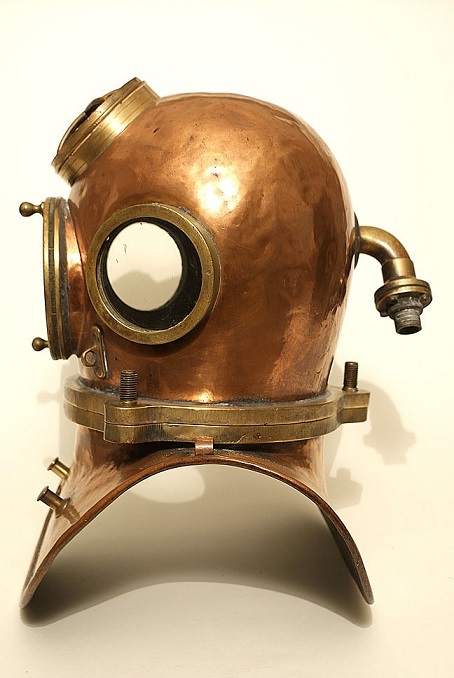 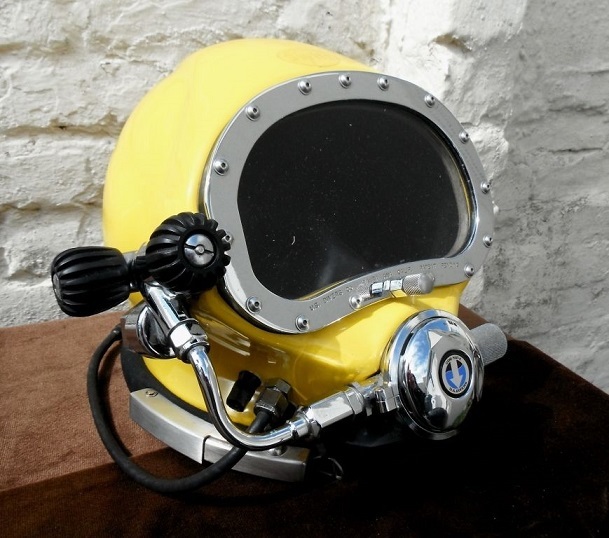 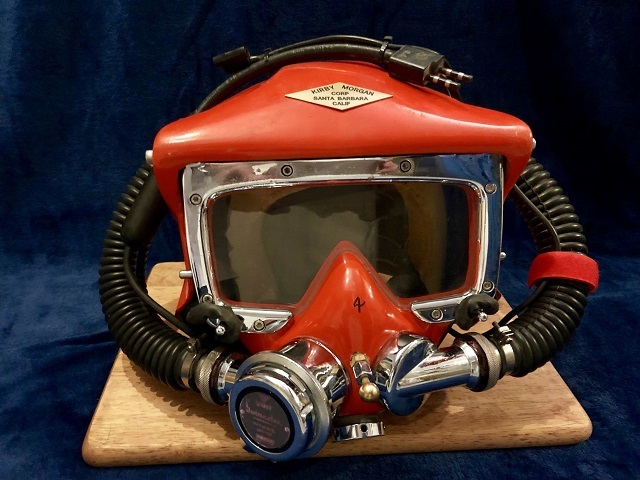 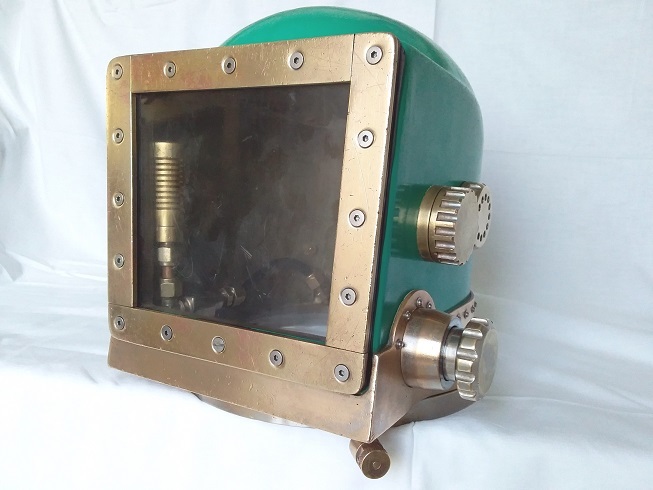 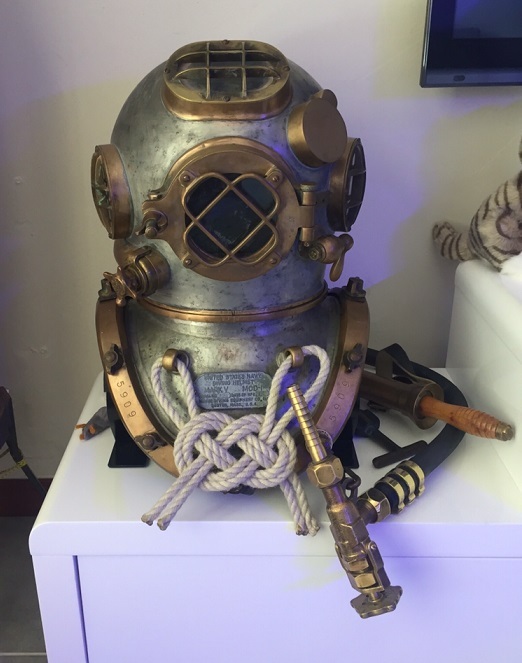 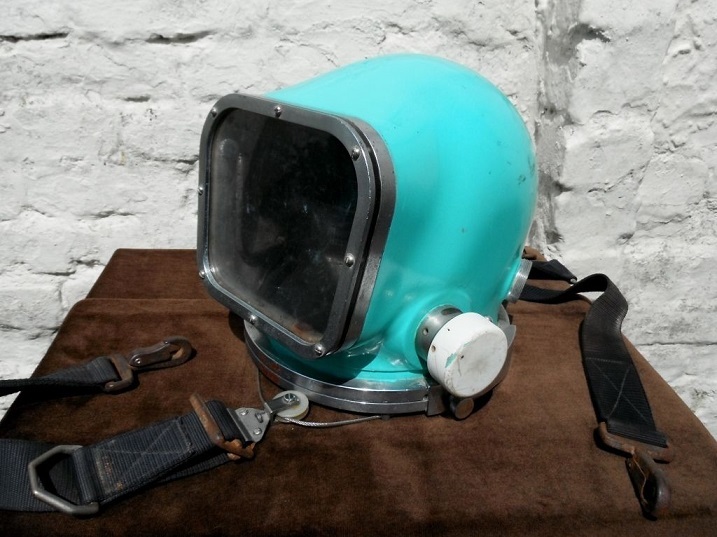 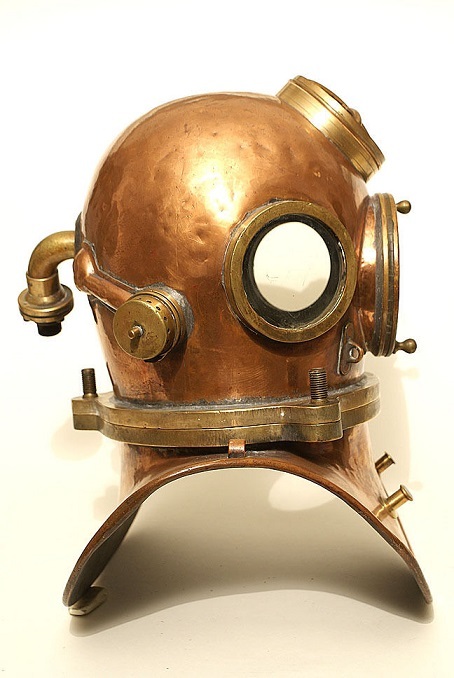 Rare 3 bold diving helmet. 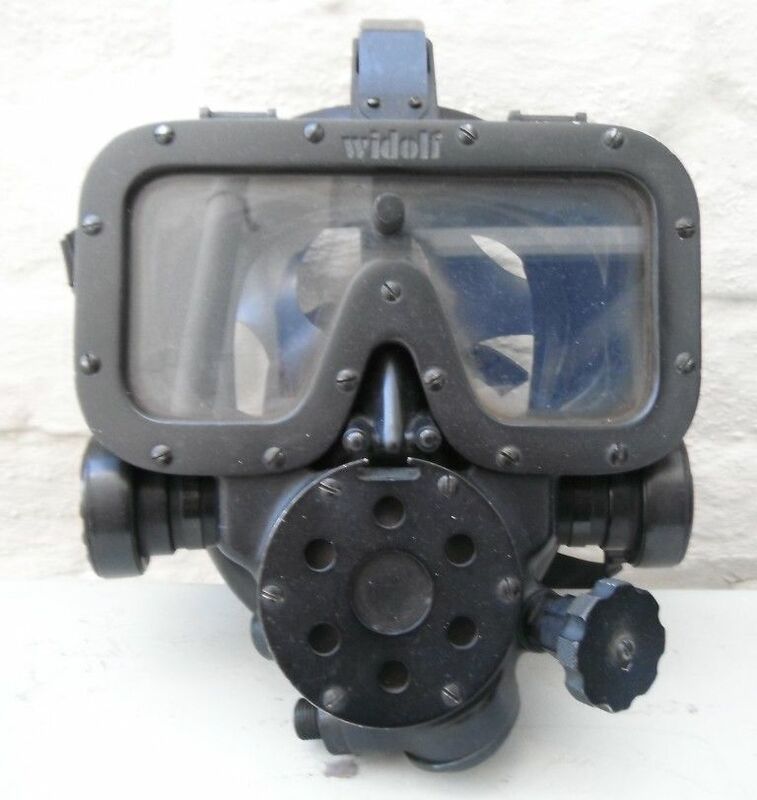 The front port ant main port don't seem to be from Scauda.